this is a nice light indigo blue stripe all shades of which are the most commonly described in runaway accounts of the 18th and early 19th century. They were commonly used for women's petticoats, jackets, and gowns. Men's waistcoats and shirts as well as an occasional lining were also made of blue and white stripe linen. In the 1775 Pennsylvania Packet, an ad included "Run away . . . an indented servant woman . . . had on . . . a blue and white striped short gown" as cited in Wives, Slaves, and Servant Girls. 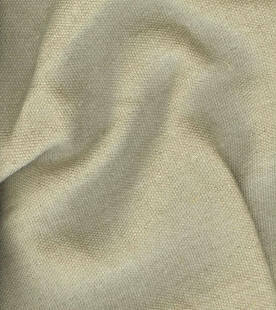 White linen thread for hand sewing and white 1" cotton twill tape would work well for this material.